With canards built in Portland, Oregon at Flighthouse Engineering LLC, the tandem-winged, eight-rotor, 745 kilogram (1,642 pound) machine has a wingspan, or width, of 6.2 meters (20.3 feet), a length of 5.7 meters (18.7 feet) and a height of 2.8 meters (9.2 feet). 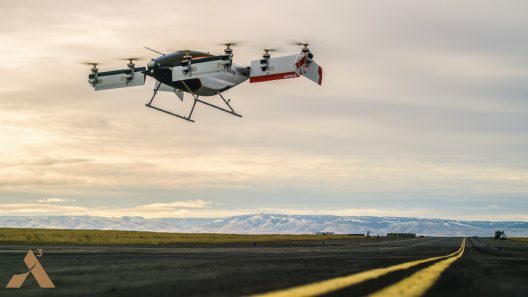 Vahana is one of two Airbus VTOL urban transport options, the Pop.Up design combining ground and air transport in a single design. Pop.Up can be used as a self-driving car, or placed on a rail platform for ground use. 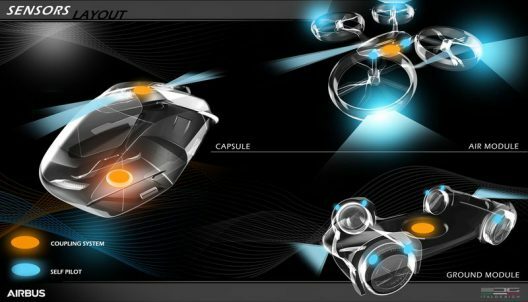 A detachable four-rotor system can lift it for flight use. 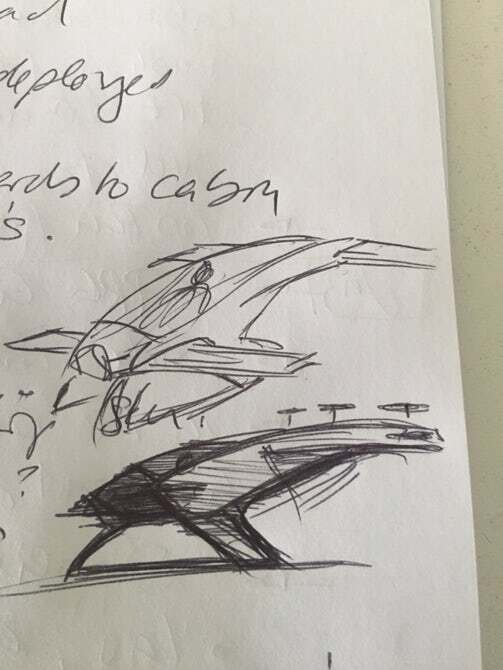 Vahana is a more single-purpose device. The prototype that flew this week at the Pendleton UAS Range seems to use liquid-cooled Emrax motors from Slovenia sporting redundant controllers. Airbus announced its intention, though, to partner with MAGicALL, a California-based company that designs and manufactures motors, controllers and other electronic controls on a custom basis. 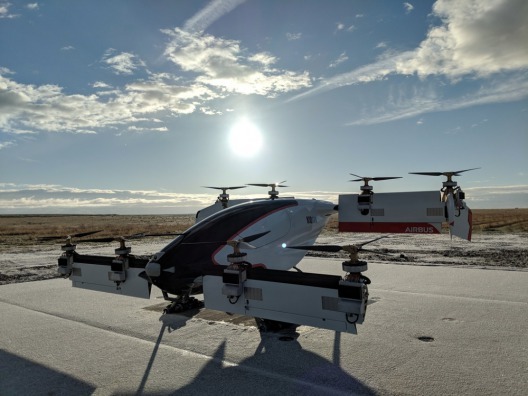 With over 50 employees working on the aircraft in Silicon Valley, and subcontractors crafting things like the canard in Oregon, Vahana is a speedily-executed project that shows the power of a well-finance large institution to bring a product to market. 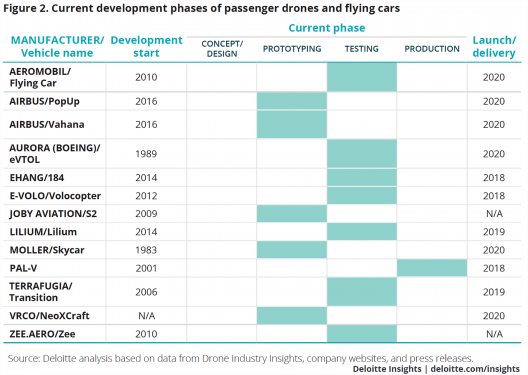 Airbus will have a great deal of competition, as shown in this chart from Deloitte, a consulting firm involved with taxes, risk management and high tech consulting to 80 percent of Fortune 500 companies.